Hi loves, I thought I'd pop in just to give you an update and let you know while I'll likely be a little MIA for the next couple of days. After three months of being together... Jesse has to go back to Louisiana. We've known the entire time that it would happen - as Jesse needs to be in the US for the visa to be approved - but that certainly doesn't make it hurt any less. After 3 months of spending every single day together, it's going to be really different. But hopefully this will be the last last time. We thought that our last trip would be the last time, but the visa preparation process took far longer than expected (we started working on it in January and didn't have everything completed until November) and we knew we had to be together for Christmas and New Years - so that last time became the previous time. Hopefully very soon Jesse will be on a plane back to Australia - and never leaving without me again! We have tonnes of things planned - for us, for our wedding, for the blog, for our family - but it's all on hold while we wait. So tomorrow, if you happen to be at the airport and see a girl having a good old ugly cry (yeah.. I'm terrible), just pretend you didn't see anything. I'll be back soon though - with new recipes and lots of goodies to share - but right now, I want to soak up every last second with my husband to be! Win a Gift Voucher from Appliances Online closes tomorrow! So tell me, what would you like to see on Southern In-Law soon? The best thing to do when you're upset is distract yourself - so put me to work! I've heard some horror stories about getting visas! But hopefully you get it all wrapped up once and for all soon, which I'm sure you will. Haha aw don't worry, I've been that emotional, probably pretty snotty mess and the airport multiple times, you're not alone! It will be so hard to see Jesse go again, but it's so lucky you guys have had a whole 3 months together; including some amazing moments like your engagement shoot. 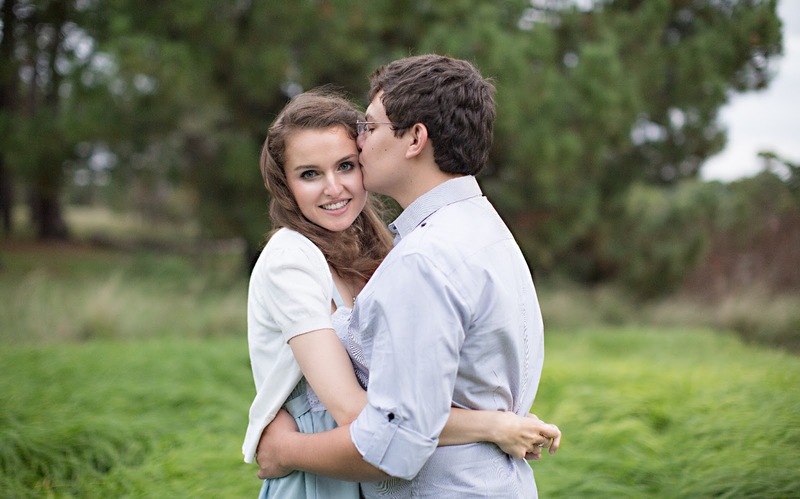 Your engagement pictures are absolutely gorgeous. And, don't worry. Cherish the memories you have as of right now. He'll be back again. After all, you guys had an amazing 3 months together. Thank you Helen! We certainly will be back together - hopefully very soon!! Enjoy these few days together before he leaves, and just remember you won't be apart for too much longer! I remember how hard it was to be together and then leave again. Just cherish every moment and keep looking ahead to when you'll be together for good! thinking of you!